Saudi side Al Wehda, led by Ahmed Hossam Mido, has succeeded in qualifying to the Saudi’s King’s Cup quarterfinal after overcoming Al Ahli in penalties at King Abdullah Sports City Stadium. Al Wehda managed to come back in the game in the final seven minutes after going down in the first half to take the tie to extra time, before winning in the penalty shootout. Djaniny Tavares opened the scoring for Al Ahli five minutes before the end of the first half. 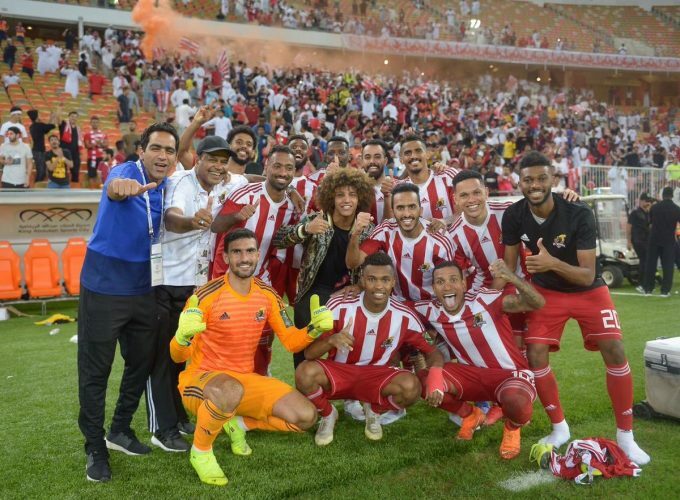 The Royal hold on to their lead but Al Wehda managed to find a way to grab an equaliser, which was through Rómulo Otero’s free kick which was translated into a goal in the 85th minute and took the game to extra time. The tie was more balanced in the extra time and there wasn’t a big threat from either side and the game had to be decided by penalties. Awad saved one of Al Ahli’s penalties and another two were missed by the Saudi giants who converted only one penalty, while Al Wehda managed to score three of their penalties to win 3-1. Mido’s side will face the winner between Al Taawoun and Al Shabab in the quarterfinal.